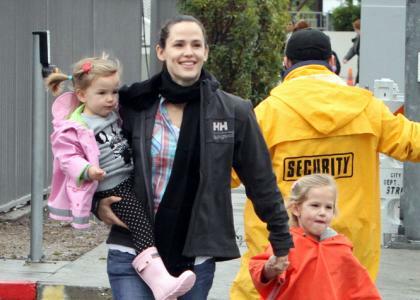 Get some mother daughter bonding, took Jennifer Garner, Violet and Seraphin to Disney on Ice's "Let's Celebrate" Yesterday, December 19. The "Catch and Release" actress looked to be in a good mood when she arrived at the Staples Center in conjunction with the help of his mother in law Chris Affleck And funny enough, held Seraphin lose her rain boots mom Jen carried her back to the parking garage in the rain. Earlier this weekend, Ms. Garner was spotted dining with a friend in Brentwood and running errands in Santa Monica.